6.25 linear ft (in 10 boxes). The majority of the collection consists of publications and clippings which shed light on the history of the Bedlington Terrier breed, the breed’s standard, health issues, and the operations of the Bedlington Terrier Club of club throughout the years. Also present are Club Administration files of meeting minutes, correspondence, and more; dog show catalogs; ephemera and photographs, chiefly from specialties; historical scrapbooks; and registration cards featuring pedigrees and progeny information for dogs that produced registered litters from 1923 to 1953. In 1896 the American Bedlington Terrier Club, was admitted as a member of the AKC, however, declining membership forced the club to disband in 1898. It wasn’t until the early 20th century that the parent club, as we know it today, was created. Dr. Charles J. McAnulty and Anne and Anthony Neary organized the first meeting of the (BTCA) on May 28th, 1932, held at the Morris & Essex Kennel Club dog show in Madison, New Jersey. First on the agenda was the election of officers. Colonel M. Robert Guggenhiem and Ethel Blake were elected president and vice president respectively. Anna Neary was elected as a second vice-president. Rounding out the executive officers was Dr. McAnulty, elected as the club’s secretary-treasurer. The club was admitted as a member to the AKC in 1936. 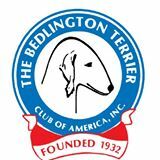 Throughout its history the BTCA has maintained a healthy relationship with foreign Bedlington clubs such as the National Bedlington Terrier Club (England) and participated in Terrier specialty shows such as Montgomery County Kennel Club’s dog shows. The development of the club historian position during the 1970s signaled the club’s commitment to protect its history. On the health front the club, along with the assistance of the Canine Health Foundation and other institutions, has provided an immense amount of progress on variety of genetic disorders, diseases and the dog genome sequence. By the 1990s the club was on the cutting edge of technology. As one of the first parent clubs to participate, the listserv became one of the most important tools to connect members, in real time, who would not otherwise have an opportunity to do so. Today, the club maintains three listservs on various topics such as agility. The majority of the collection consists of publications, particularly those produced by the club, which shed light on the history of the breed, the breed’s standard, health issues, and the workings of the club throughout the years. The collection reflects the concern of the Club and many Bedlington Terrier owners over the common health concerns of the breed. One can find within the collection many resources on research, findings, and DNA testing for Bedlington Terrier related diseases, partiuclarly copper toxicosis. Materials of this nature can be found in the publications and club administration files. The collection also contains some invaluable and one-of-a-kind resources on the breed, like the registration cards on prominent Bedlington Terriers from the 1920s to the 1950s, scrapbooks produced by club members, a small assortment of photographs (primarily from shows), and an assortment of ephemera including club-produced calendars. For more detailed description, see the individual Scope & Content Notes for each series. Collection was a gift of Diane Stille (President, 2010), Vicki Petris (Historian, 2008) and Linda Freeman (member, 2008) on behalf of the in 2008 and 2010.